• Will be responsible to implement bank security structure and safety plan, administer bank’s security systems available, analyze and manage security risks. • Act as a liaison between bank and law enforcement with help of legal team, advises on emerging of security and safety issues. • Will have to provide staff and management with security and safety training and making sure the security system is maintained and well-functioning. • Will be custodian of CCTV backup, manage physical security guards service providers, lead evacuation and staff recovery plan as well as following up on Internal, External and BOT examination findings. • Qualified candidate must have a Bachelor’s degree or equivalent with concentration business administration, banking or business related degree with 5 years of work experience in a bank. • Must have the ability to identify issues and their root cause, sets priorities and assesses implications. • Perfect command of spoken and written English. • Formal bank security training is a plus. 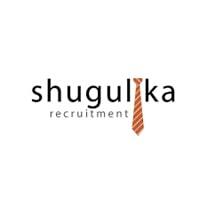 Qualified candidates share CVs via luisia@shugulika.com before 1st February 2019. Only shortlisted candidates will be contacted.